Services » Superior Alarm Inc.
Where quality, experience and service make the difference. 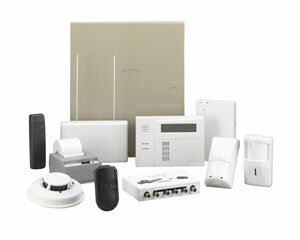 Superior Alarm, Inc. offers several services for your home or business that go beyond security alarms. Our monitoring and product service calls will keep you safe and comfortable while offering peace of mind, at home or at your place of business. We offer 24 hour monitoring for water leaks and carbon monoxide. If the level of carbon monoxide in your business or home becomes dangerous, the alarm will sound, alerting both you and our team. We can quickly arrange for water leak repairs to avoid significant damage to the property, and send out fire department personnel to safely remove the carbon monoxide. If you suspect a carbon monoxide leak, you must exit the property immediately, as the gas level can become life threatening within minutes. Superior Alarm Inc.’s carbon monoxide detectors and monitoring services allow you to relax knowing that you will be alerted of any danger immediately. Our licensed technicians provide service calls for fire alarms. If your fire alarm is malfunctioning or has stopped working altogether, call us–we can repair or replace it. Superior Alarm, Inc also services low temperature alarms, which go off when your furnace breaks, or when dangerously low temperatures threaten to freeze your pipes. We also service closed circuit, which allow you view your property from multiple camera angles. Our experienced team troubleshoots access control systems, including exterior wall units, portable remotes, and mobile phone applications. If you’re worried your fire alarm isn’t working correctly, or you aren’t sure if it’s time to replace it, our team of experts can inspect the unit for any needed repairs. We can determine if replacement is necessary. We also offer inspections for code regulation requirements. © Powered by BCI Media Services; a division of Ballantine Communications Inc.